Rimrock and Lake Montezuma are located just 25 minutes south of Sedona. The area has diverse neighborhoods from trailers and manufactured home neighborhoods, to luxury estates, and everything in between. No matter where you are in Rimrock, you'll fee like you are in the country. 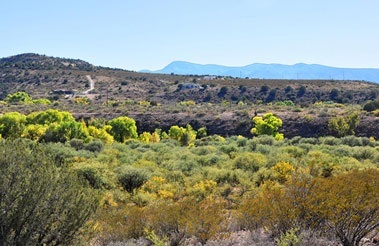 Rimrock has the most affordable land and homes of anywhere in the Verde Valley. Beaver Creek runs year round affording the Cottonwoods and Sycamore trees the ability to rise to mighty heights for the high desert. Wickiup Mesa sits high above town and affords views of all the surrounding mountain ranges.